Bruce Gardner’s Hikaru Dorodango #ArtTuesday « Adafruit Industries – Makers, hackers, artists, designers and engineers! 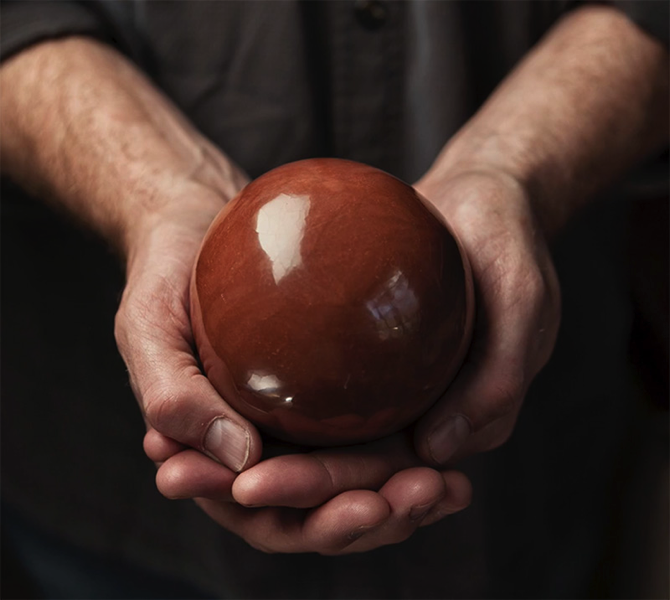 Artist Bruce Gardner is a master of a curious Japanese artform called hikaru dorodango (literally: ‘shiny dumpling’) where regular dirt is slowly crafted into perfect shiny spheres. The objects take several hours make as increasingly finer particles of dirt are applied to create each layer.